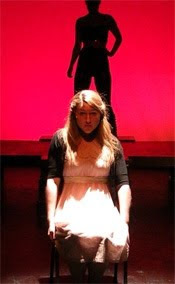 The Musical Theater Program at Pace University is currently accepting submissions of new musical theater works for a series of performances at Pace University in January 2009. Last year’s musical was DARLING written by Ryan Scott Oliver and B.T. Ryback and was written about in an article for BroadwayWorld.com. According to the Pace University website: The chosen piece will be given a full reading in the Schaeberle Theater at Pace University in lower Manhattan, with actors chosen from the musical theater student body. There will be a two week rehearsal period starting Wednesday, January 6, 2010 with 8 performances starting January 19 and ending January 24, 2010. The Musical Theater Program at Pace University started in 2002 with six majors and has grown to a fully accredited BFA program in Music Theater with one hundred majors. Under the guidance of its director, Amy Rogers (full disclosure: Amy is a dear friend of yours truly) and Broadway music director, Robert Meffe, the program is preparing the next generation of Broadway performers.